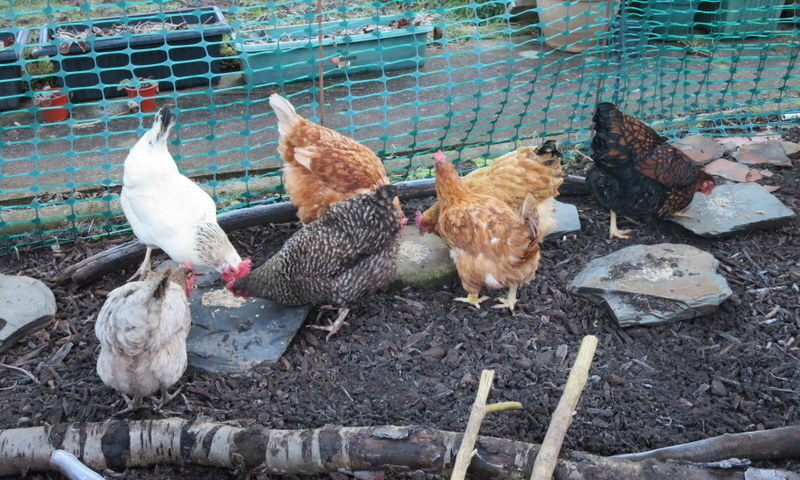 Three weeks in, and the girls are all socialising happily together – with the occasional fracas to reinforce the pecking order (which was fairly quickly sorted, along expected lines). But they still choose to sleep separately, new girls together in the Eglu Go, and the others in the Cube. 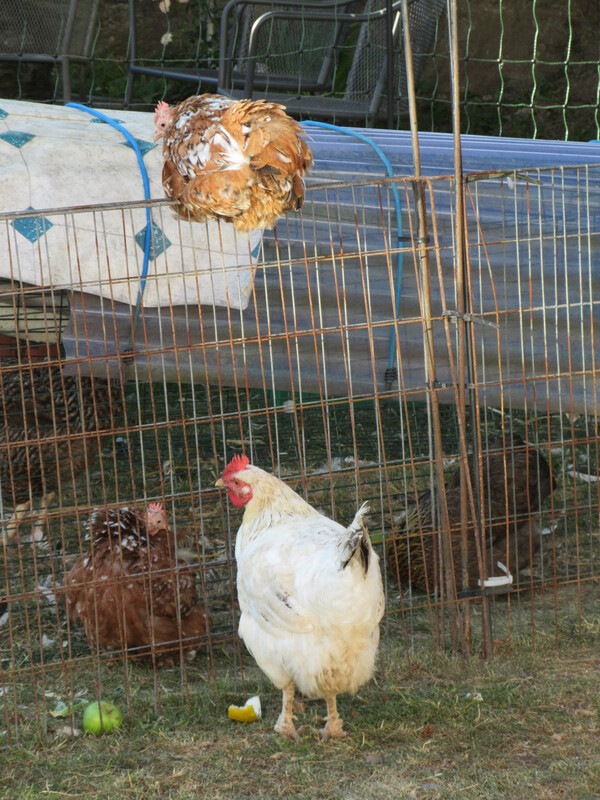 It’s interesting, though, that one of the bantams is throwing her weight around, just between the two of them – the disruption must have unsettled her, and she is emphasising her superiority at every opportunity! Dorcas is crouching, and both she and Deanna have grown combs, so we’re looking forward to having extra eggs any time now. 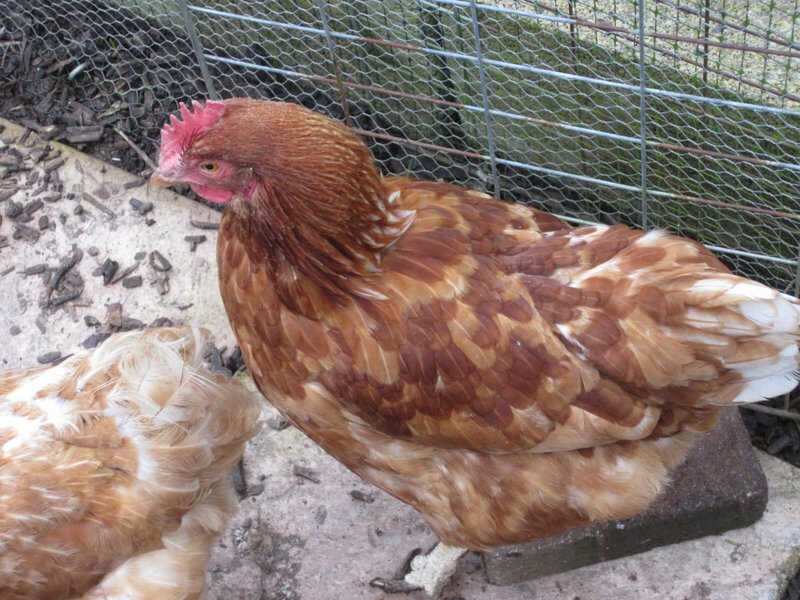 Delilah however, shows little sign of coming in to lay, neither growing a comb or crouching … she may be younger, or it may be her breed – previous Light Sussex hens we’ve had did not start laying for some months. Both Moppets are laying now … and you can see in the photo above how bright their combs are. 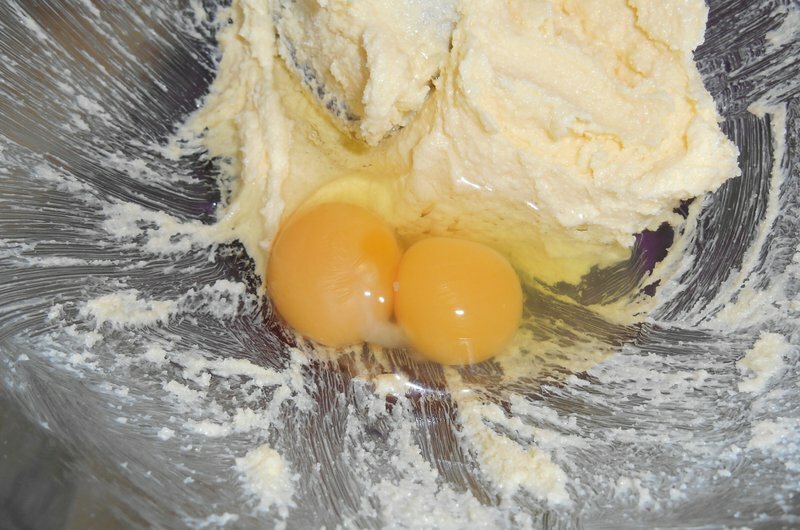 … since then, I’ve used at least three eggs with double yolks and I’m certain there are a couple more in the egg rack! 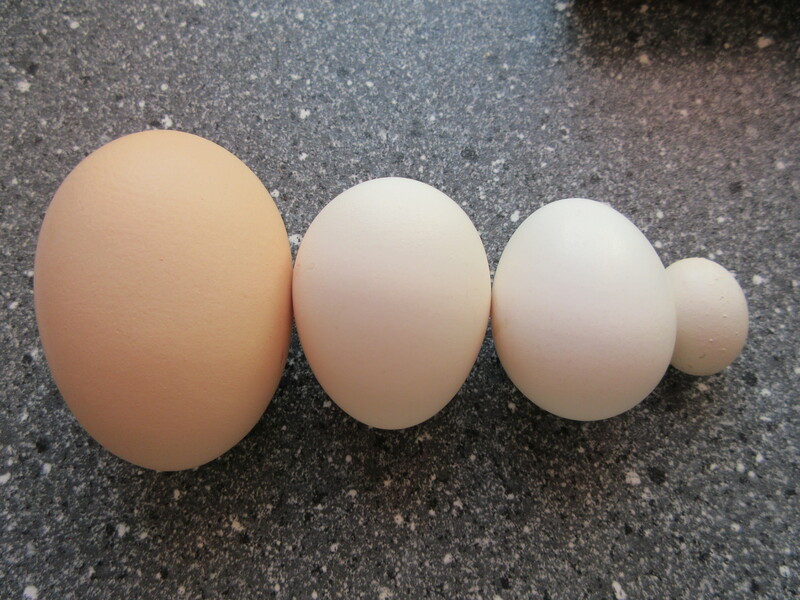 I have no way of knowing which hen is laying them … although I am sure they are all from the same hen. 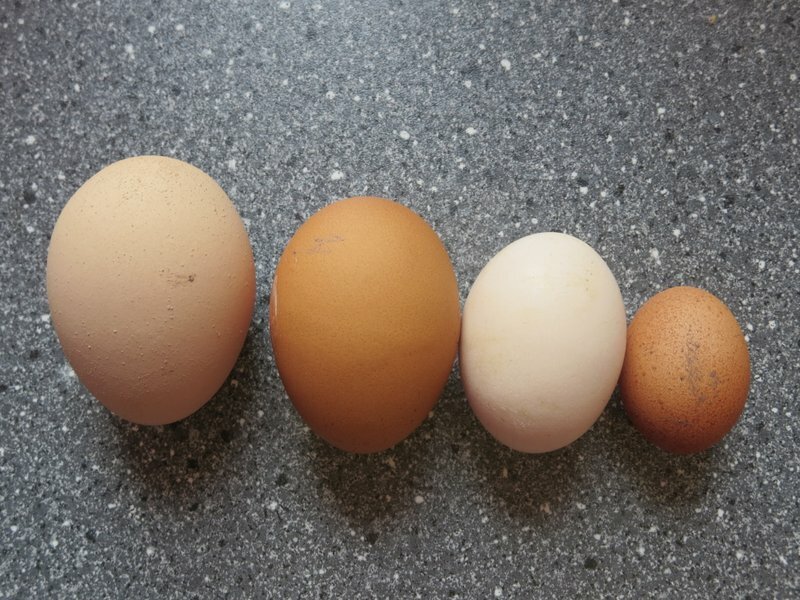 They are lightly tinted, not white (so neither of the Sussex hens) but other than that I don’t have a clue … especially since the Maran eggs are light in colour, rather than the dark brown I’d hoped for. I don’t think it’s one of the ex-batts from the shell. So we may never know, but I do hope they continue for a while yet … as long as they don’t cause their hen any trouble, that is! Thanks to DD2 for the photo! We’ve had eggs from two of the Famous Five in recent days … almost certainly from Charlie and from Carey. But this morning, I also found two soft eggs under the roosting bars of the Cube … perhaps the hens were taken short when a first egg made it’s appearance?! If so, that’s four of the Famous Five now laying – their eggs will get stronger and larger over the next couple of weeks, as have Charlie’s. Carey’s were ‘normal’ from the beginning, but I think she was already in lay when she came to us. To help with the shells, I will add some limestone flour to the rice along with the Flubenvet for the next few days. We started the worm treatment because of Carey’s sneezing and the appearance of a couple of droppings. I didn’t hear Carey sneeze once this morning – I wonder if it’s because it’s raining? Does she have a reaction to the dust in the woodchip? There would almost certainly have been other hens with symptoms by now if it were an infection 😕 Nor have we had a repeat of the droppings … red, but not with blood (which would be an indication of a coccidia infection which is highly contagious) … we’ve seen them before when we suspect the girls have worms. So I’m hopeful we’ll be OK. But I’m not taking any risks until I’m certain so we’ll continue to run the three separate broods for a few weeks yet. 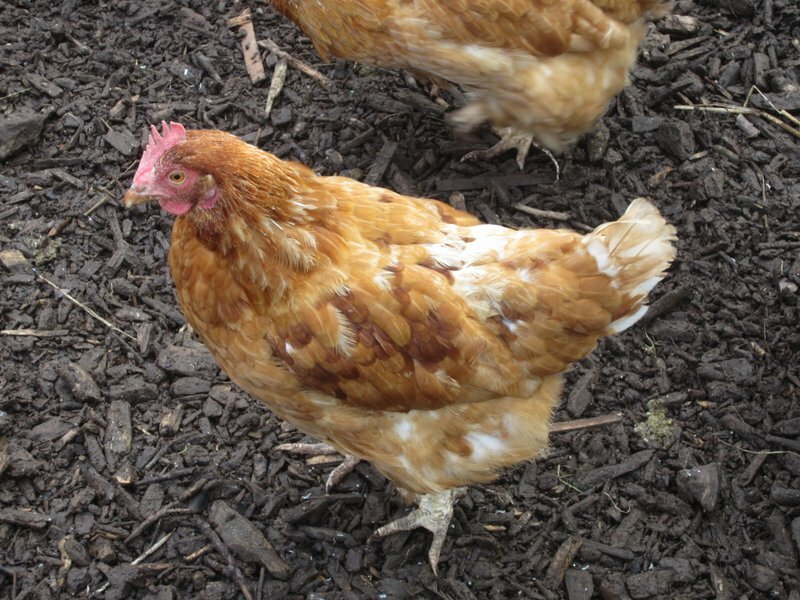 As for the rest of the girls’ eggs … one of the Vicarage girls is laying regularly, a lovely, firm-shelled egg. In the past few days we’ve also had a couple of thin-shelled/soft eggs, so I suspect three of the four are laying, and I’m almost certain Betsy is not laying. In the greenhouse, we have a broody, but have still had 3 or 4 eggs most days 🙂 A couple of my regular customers have expressed a preference for bantam eggs, so for now I have enough to sell a few boxes from time to time. But oh, the mud … it’s raining again, and the ground is almost instantly saturated once more. I’ve had to move the Moppets’ fencing again, not because of lack of grass but because the ground was sodden. I do hope we might have a dry, warm summer this year. 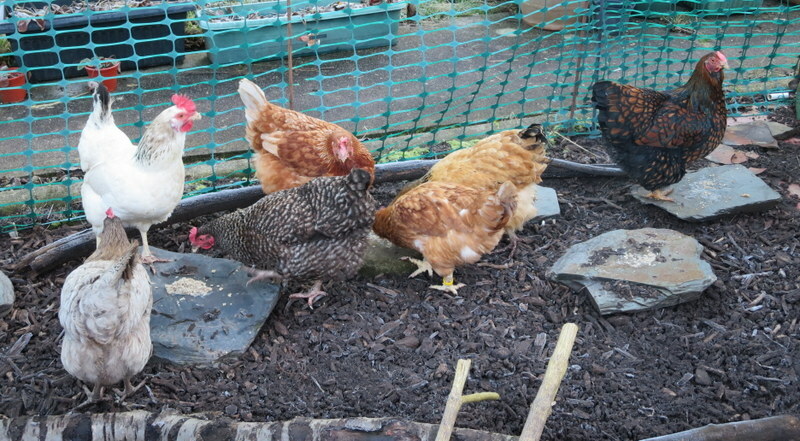 I’ve not noticed any sparring but it’s clear that the pecking order is being established among the new girls. It’s a bit like one of those logic puzzles: if A pecks B but not C, and A pecks C but not D, who is top hen?! I spent some time in the run this afternoon with a pocket full of corn and this is what I observed … Camilla is clearly bottom hen – she stays back, hardly daring to come close even for corn (though I was careful to make sure she had chance by throwing some to her in the corner while the others were busy elsewhere). Charlie is happy to peck corn from my hand. I’ve not seen her peck at any of the others, and for a while she and Carey ate happily side by side. No one tried to join them and Connie had a good hiding from Carey for trying to gate crash the party. Clare pecks at Camilla but is pecked by Connie. Eventually, as the corn ran out, I noticed Carey give Charlie a hard peck. 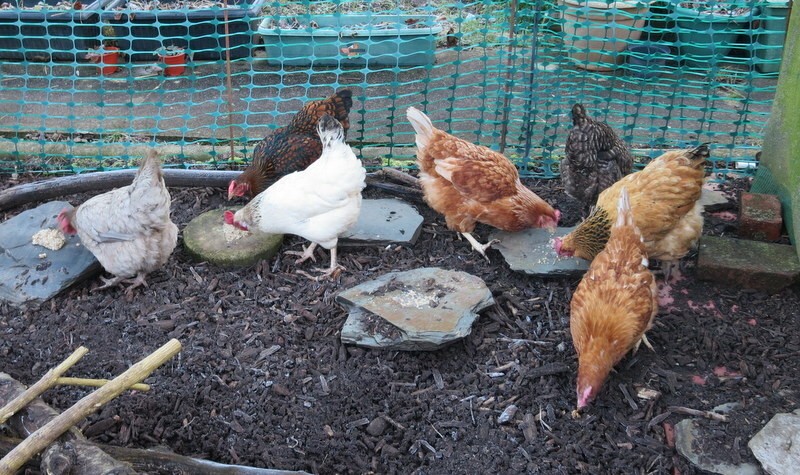 So for now, though this might change, the pecking order appears to be Carey as top hen, then Charlie, Connie, Clare (who appears to be the youngest) with Camilla at the bottom. Unusually, the one I used this weekend had no evidence of a yolk at all … I’d expect a vestige of a yolk. 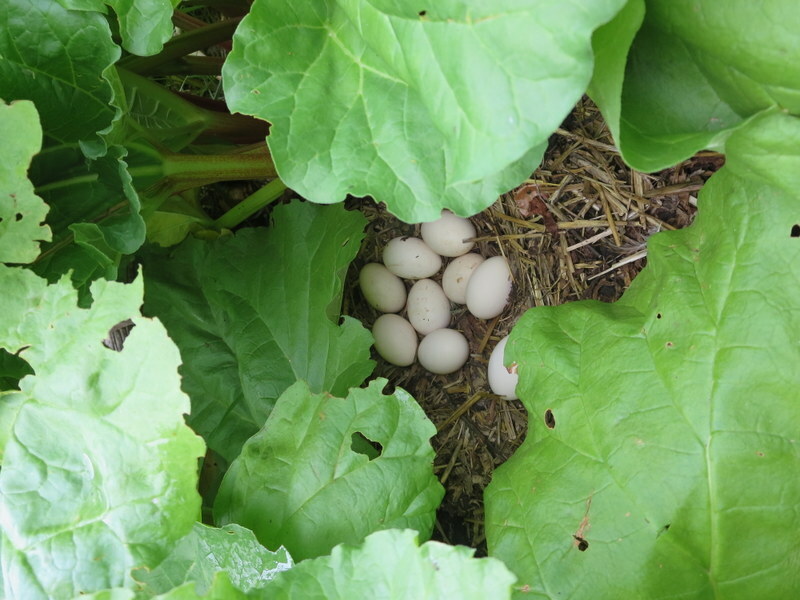 I’ve no idea which of the Vicarage girls has laid them … three of the girls appear to be laying, though one continues to lay only thin shelled eggs. The shell of the wind eggs isn’t strong, and we’ve had no large eggs these past few days, so I can only assume it’s the same hen? Betsy isn’t laying. She is still not herself … she never recovered from the moult. As long as she is eating and drinking and enjoys treats, we’ll leave her be. Also unexpectedly, we had a soft-shelled bantam egg a few days ago. I suspect there are three bantams laying occasionally, so I wonder if it was another Moppet coming into lay for the season. All the hens persist in sleeping in the nest boxes, so we have to change the straw every morning to try and keep the eggs clean. The soft-shelled bantam egg had clearly been trampled during the night! But really, there hasn’t been a lot of news to share. Still, one or two significant changes have happened, not least losing a hen. 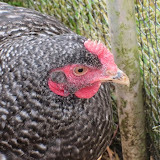 Molly suffered badly during her moult, avoiding all contact with the other hens, but even once her feathers began to break out of their sheaths, she didn’t recover. She got slower and slower, and ate less and less, until one morning she wasn’t really moving at all, so we took the decision to cull her. 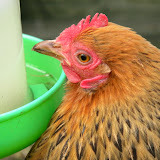 She had lost a lot of weight, so I wonder if we should have taken action sooner, but it’s never easy to be sure with hens. She may still simply end up much darker all over, but for now, the mottled effect is most unusual and very attractive! It’s much colder now, but the Vicarage girls continue to lay … from the eggs, I would guess that one girl lays most days, and there is often a second egg alongside it. 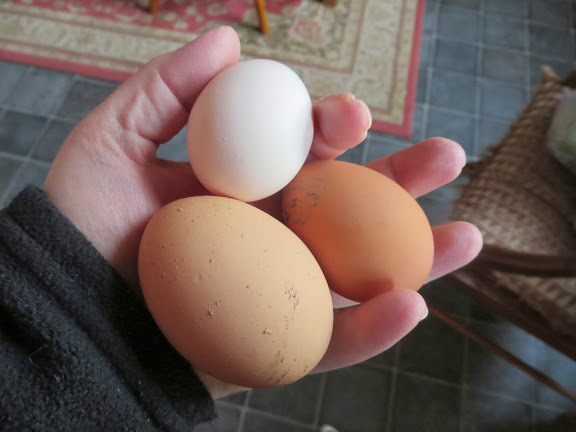 One or two days recently, since we lost Molly, we had four eggs from the remaining five girls … not bad for November! But I don’t expect it to continue. The Moppets seem happy enough. They are only laying sporadically now, an egg or two every other day or so, and I expect they will stop altogether soon. 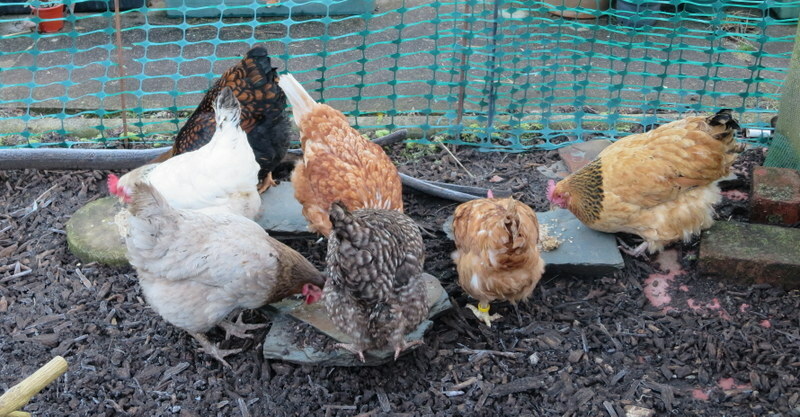 They are still moulting … looking a little scruffy round the edges, but none of them have had any bald patches, and they are still so fluffy it’s not easy to see any new feathers breaking through. There are changes in the garden too … but I’ll have to wait until the work is finished to take a photo and explain – it’s all rather complicated! Ultimately, it may mean a little more space for the Moppets, but we’ll have to wait for spring if we decide to grass it over. I might try and pave it, instead. I won’t be able to decide until I see the finished result.